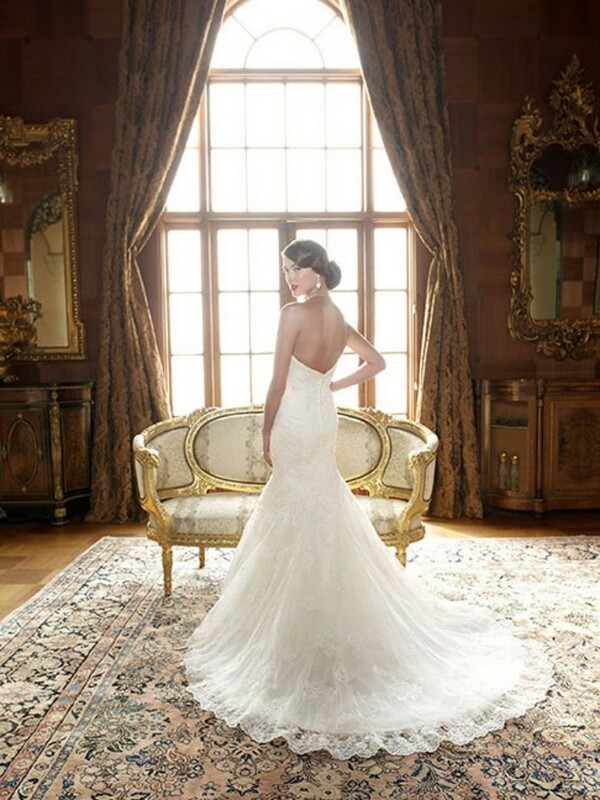 Strapless soft sweetheart neckline gown in a mermaid silhouette with a beaded lace overlay. The bodice is lined with Silky Satin and the skirt is layered with tulle. Beaded lace overlay is accented with additional beaded lace appliqués accented with freshwater pearls, Swarovski Crystals and crystal sequins.